For the last number of weeks, the transition year students of Coláiste Mhuire and Loretto College, Mullingar, have been participating, separately, in a ‘Youth Alpha Course’, which is designed to give youth the opportunity to ask any necessary questions about the key factors of Jesus’ life, and fortify their grasp on Christianity - almost like a journey of self discovery through which you get to know and understand your own faith and beliefs better. If I am being honest, when I first heard about this course I was a bit hesitant. We have all met at least one person in our lives who tells us their opinion on the life and stories of Jesus; tells us their views, and then make us feel like we have to agree with them. I thought this course was going to be something similar, simply because I thought it was going to be almost a military process with some stranger standing in front of the class and trying to drill information about the life and stories of Jesus. But Youth Alpha, which is spear headed by Fr John Nally, the schools chaplain, is the complete opposite to this. Youth Alpha is almost like a social gathering: instead of telling us how to feel about the stories we have just heard, there is time to digest the stories we have heard, and then we are encouraged to ask any questions and voice our opinion. The stories of Jesus are conveyed through a series of short films which are shown every week with a short internal between each section of the film. These questions may seem quite basic, but when they are directed towards yourself, they leave you pondering on your asters, and leave a sense of confusion. The great and unique thing about Alpha is, when you do reach a conclusion to these questions, the Alpha leaders welcome any new theories or opinions to these questions. I would encourage everyone to try the course, because I have come to view my own religion in a different light. Youth Alpha has made me come to a sense of realisation about my faith from which I have benefitted. I feel understanding your own religion is important for teenagers, as it makes you establish key, individual principles that you can apply to every decision you make, no matter how big or small, which can only help you in life. I think that the Alpha Course is such a big hit in Mullingar because the participants get the chance to make their own decision, believe what they want to believe, not what they think they have to believe. This is the main reason I am enjoying this course. Youth Alpha is a huge hit in the two Mullingar Schools, and I am sure will feature a lot more frequently in other schools in the future. 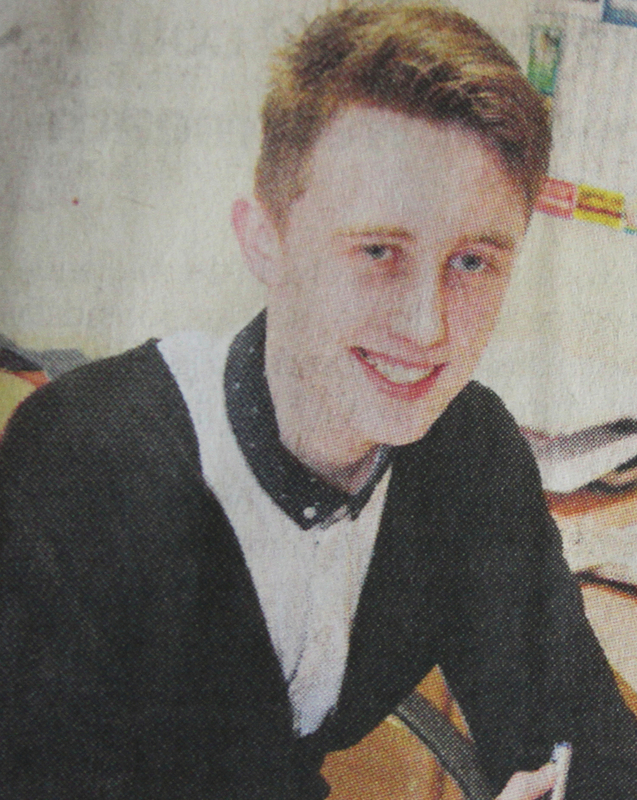 Jake O’Meara, from Ballynacaragy, is a transition year student at Coláiste Mhuire, Mullingar.